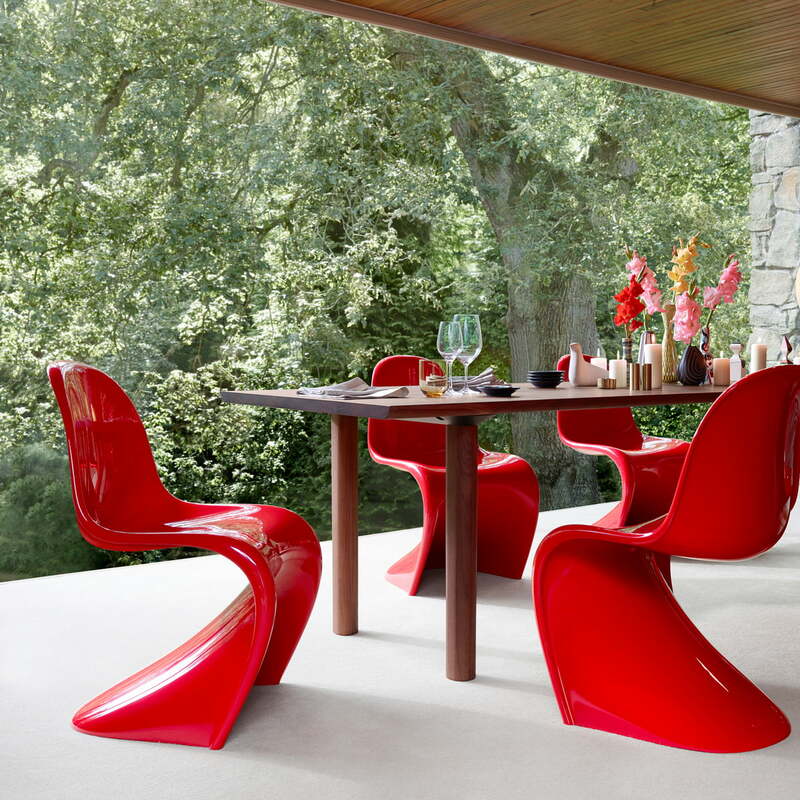 The Panton Chair is an icon of 20th century design. 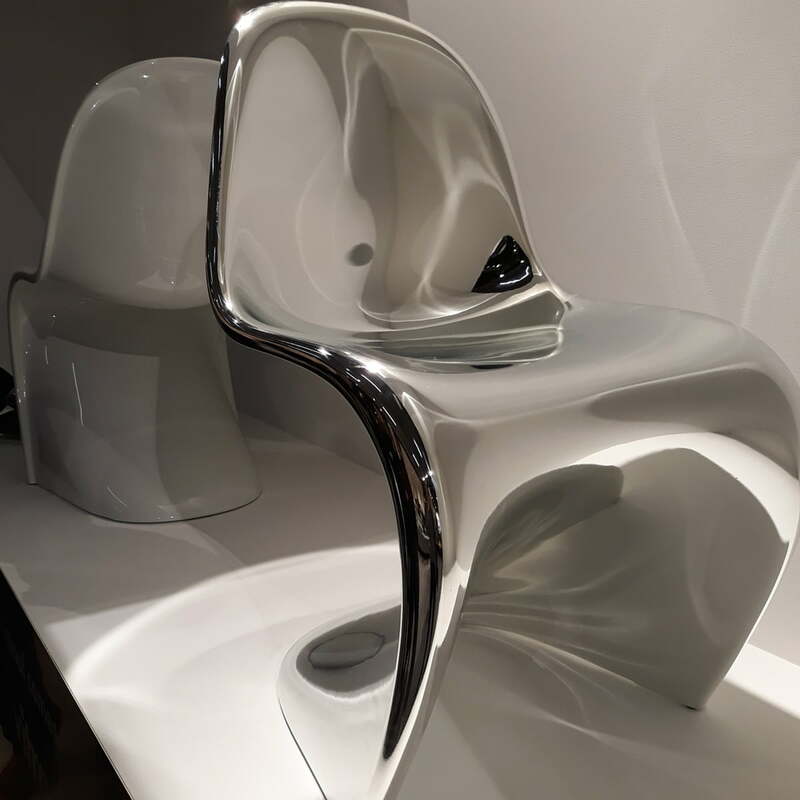 It is the most consistent expression of a design concept, which wants to realise an object with a flowing shape from a single material. 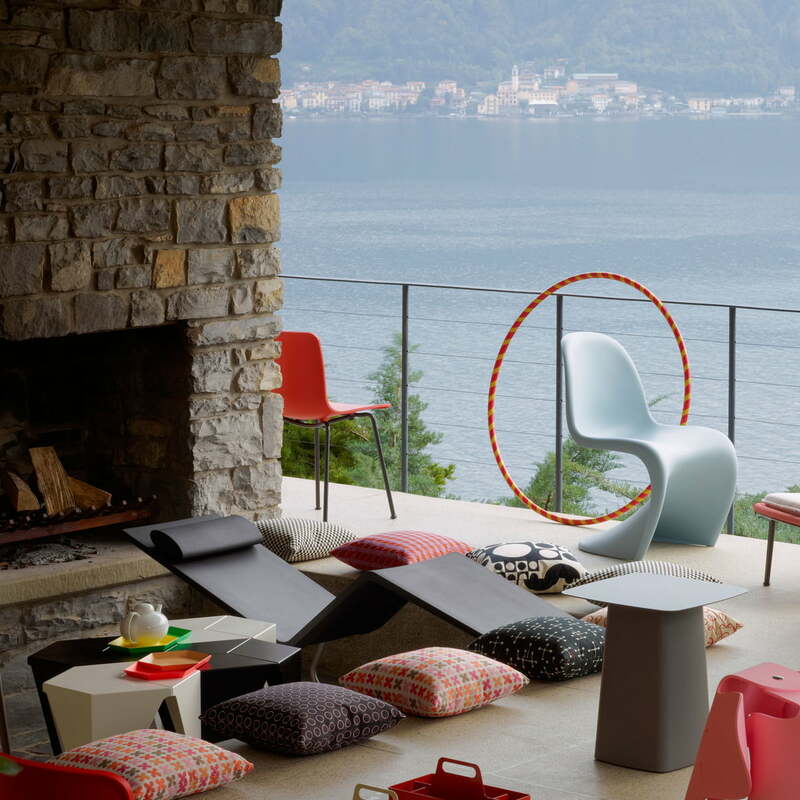 Since its introduction in 1967, the Panton Chair by Vitra has gone through multiple production phases brought about by technological advances in the use of plastics. 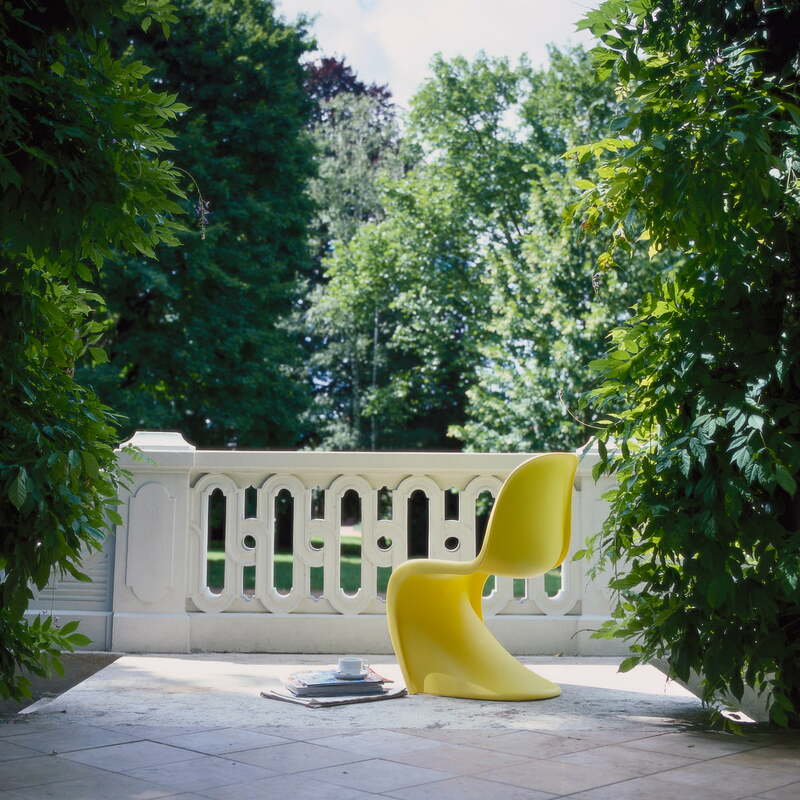 At the end of the 90s, Vitra worked in collaboration with Verner Panton to produce the final authorised version of the Panton Chair. 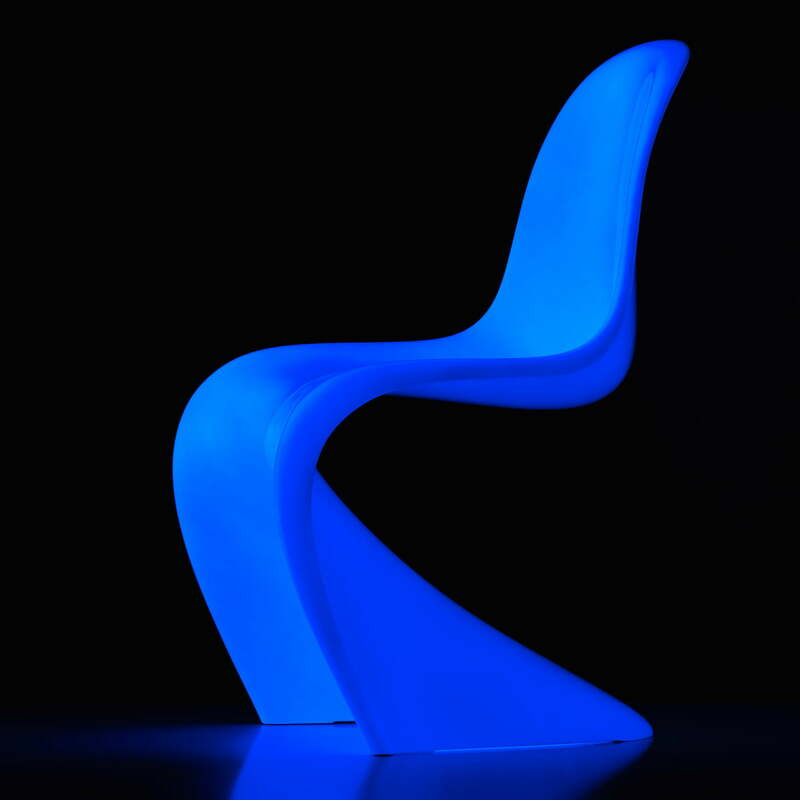 With this model, one of Panton's ultimate objectives was achieved for the first time: a plastic chair as an inexpensive industrial product. 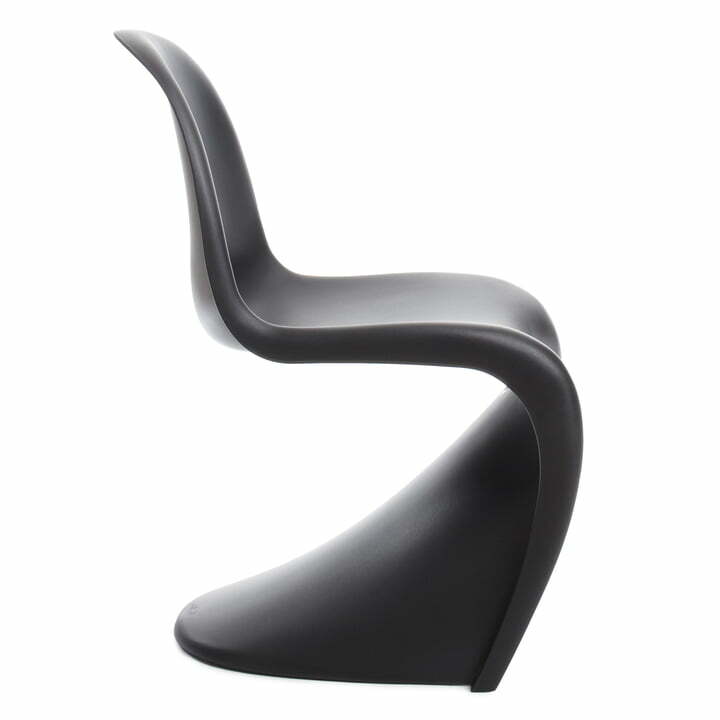 Today’s Panton Chair by Vitra impresses with numerous features that make it special: It can hold up to 120 kg and is thus extremely secure, with a weight of just 5.5 kg.The cantilever chair is without a doubt suitable for various areas and usages, whether cafés, at home, public places, waiting rooms and many more. 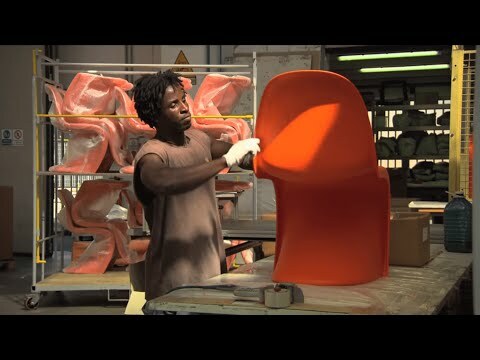 The Panton Chair is produced with a modern injection moulding process. 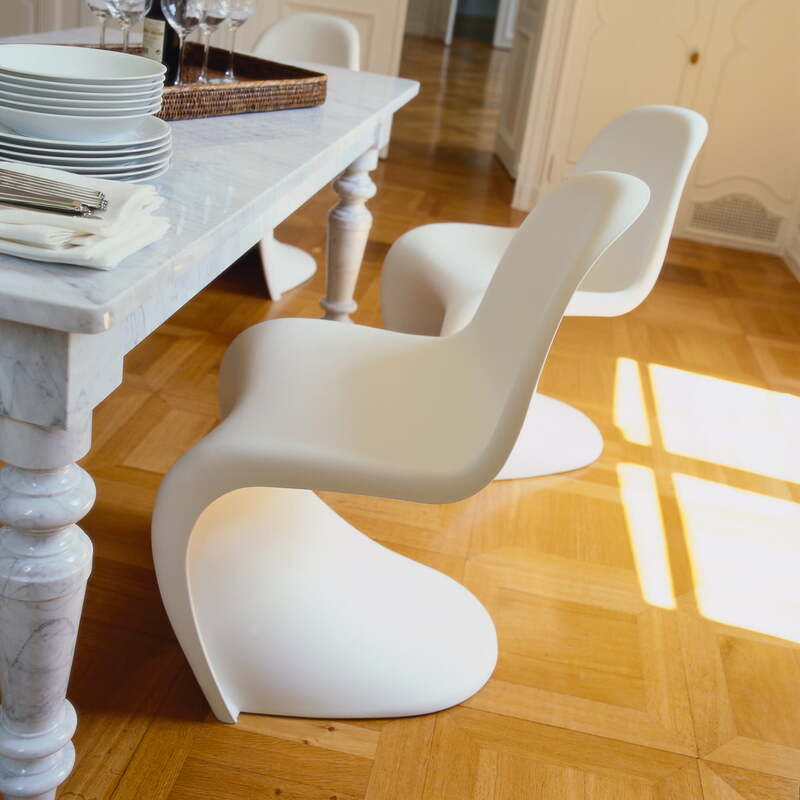 The basic material, a granulate is heated to 230 ° degrees to be injected into the shape. 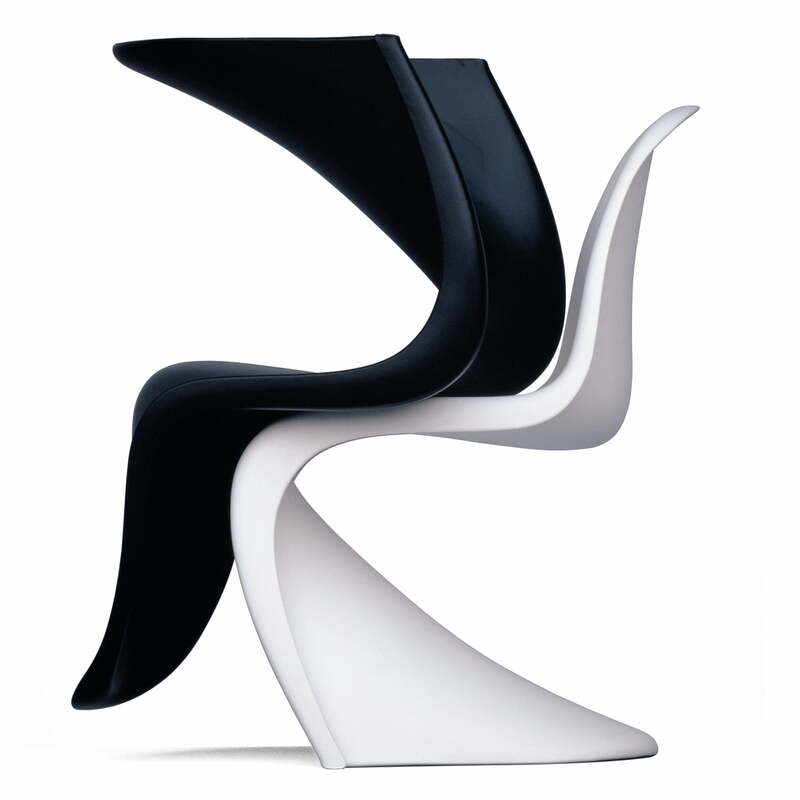 With the pressure of 10 tons a machine creates the iconic shape and thereby the iconic design. 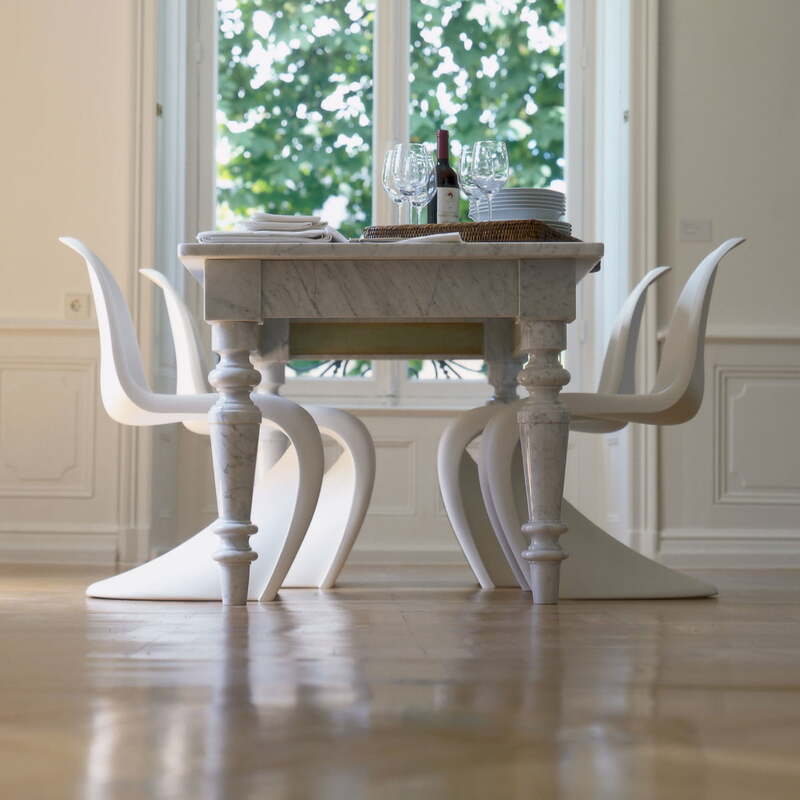 After some time of cooling the front part is removed and the Panton Chair is almost ready. 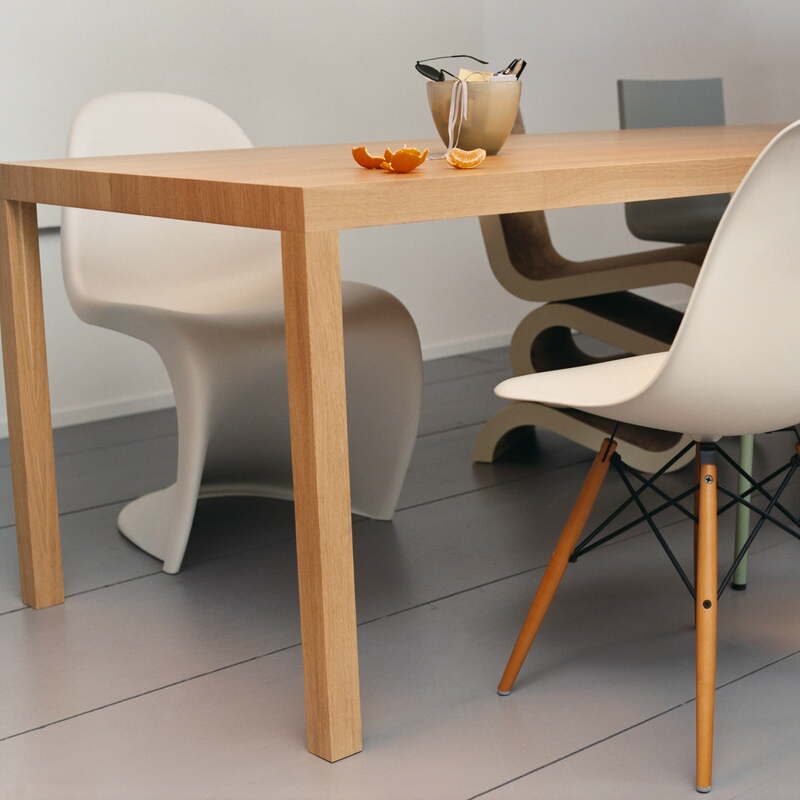 Now it only takes processing the edges and doing some other precision work – the result: another beautiful design object by Vitra. 436 of 714 customers have found this review helpful. 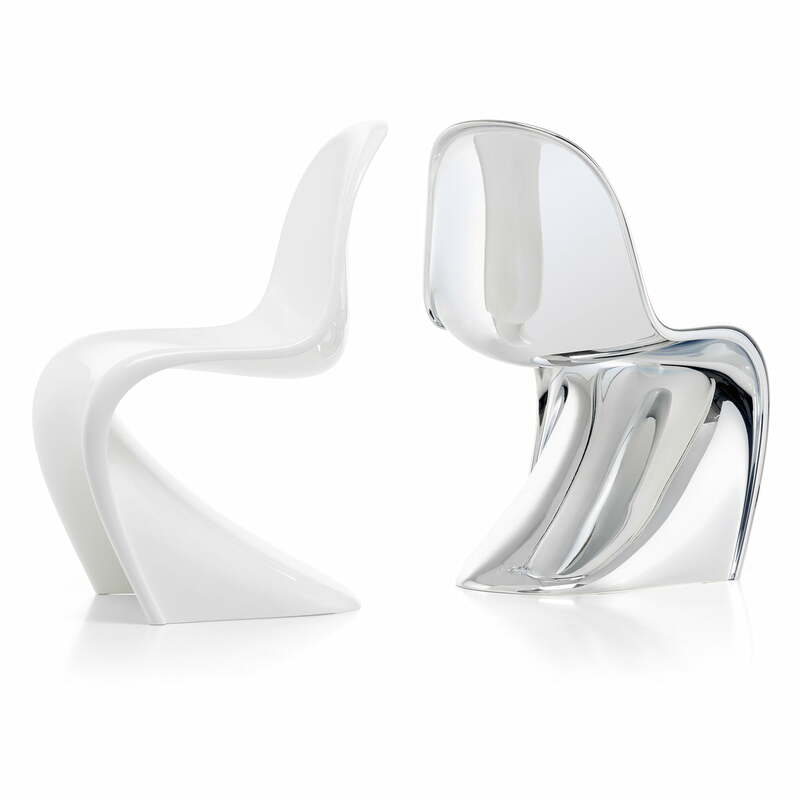 The Panton Chrome and Panton Glow shed light on the first all-plastic cantilever in history and celebrate the groundbreaking design with the innovative use of various surface treatments.